Music is powerful. It is also ubiquitous: in homes, cars, busses, restaurants, coffee shops, shopping malls, retail stores, gyms. community centres, spas, salons, wellness centres and more. With the advent of Walkmans (remember those?) and then MP3 players we can now have it everywhere at all times. But because music is so prevalent and accepted we often don’t pay much attention to it. Consequently we are missing tremendous opportunities and in the case of businesses often losing opportunities: losing business in fact. 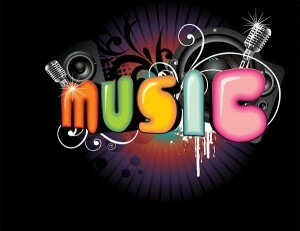 Music is powerful because we do not have to pay attention to it in order for it to have an impact on us. Music does impact us: psychologically, physiologically, and emotionally. The many aspects of music, including rhythm, melody, tempo, timbre, harmony, volume, and dynamics speak to our subconscious. A common error is when a store owner lets a 17 year old employee choose the music for the store. Profits frequently drain out the door: especially if the 17 year old likes music that is not a remote match for the clients likes or that has musical characteristics that affect our subconscious negatively. How do you choose music that is appropriate for your clients? I’ll keep you posted on that as I do not know yet. However, upon reading Sound Business by Julian Treasure, I have learned some things NOT to do. 1) Ask the client what they think about the music. No. When you ask that question you will discover smething like this in most cases. It turns out that a client’s taste in music has little to do with the client’s responsive behaviours and actions to the music that is playing in a situation. A client’s musical taste is a factor but not the most important one. In fact, playing music that a client might never consciously choose to play can be the deciding factor in the client’s choice to make a purchase. 2) Play upbeat happy pop music. No. This is commonly accepted as the appropriate thing to do and usually it is not, especially in a business that benefits when clients stay at the establishment for a longer time. Happy pop music has the effect of having clients do everything faster and to leave faster. A classic example is a supermarket test case. When slower calming music was played, the customers slowed down and took more time which then resulted in them considering more food items and buying more food items. A whopping 38% percent more money was spent. Ca ching. Fortunately, very few shops where I live have music playing. Music is important to me, but music in shops quickly makes me leave and go somewhere else. It’s a nuissance, background noise, no matter what kind of music it is. The only good music in shops is the music that is silent, literally soundless. Wow. No music at all? From what I am learning you may be in a rare category. Studies are revealing that appropriate music at an appropriate volume has a beneficial impact on customers’ experiences in businesses. Unfortunately, that is a rare occasion. My biggest issue is with volume rather than the presence of music. If it’s too loud I can’t filter it out without a lot of effort. I would personally prefer some music in many situations – but not all. I agree that there is nothing wrong with silence. That includes minimizing or removing the sounds of equipment and people in a shop, not just music. I once worked with a hypnotist and had to request she not put on any music. Being a musician I could not stop myself from listening to it. Of course, absolute silence is impossible and would be disturbing.